Contact us for friendly advice and professional pet health care by phone, email or drop into our Practice. We have plenty of off-street parking. Enter via Albert Lane. In an emergency situation, would you know what do? Effective first aid could save your pet's life. 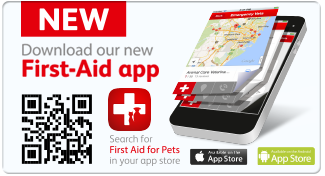 First-Aid app for Pets (Australia) is an educational tool that contains many helpful and potentially life-saving articles for quick reference in the event of an emergency or potential health risk for your pet. This app also links straight to us at the Mittagong Veterinary Hospital, to provide fast access to contact information in the event of an emergency. You never know when an emergency will happen, however, with First Aid for Pets (Australia) you can always be prepared. Scan the above image with your smart phone or head to the links below. After you have downloaded the app, you can then nominate the Mittagong Veterinary Hospital within the app. 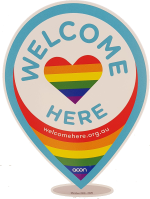 We think you'll find the resource invaluable!